Ariel Merari is a retired professor at the Department of Psychology, Tel Aviv University. He received a B.A. degree in psychology and in economics from the Hebrew University in Jerusalem, and a Ph.D. in psychology from the University of California, Berkeley. Prof. Merari served as Chair of Tel Aviv University's Department of Psychology (1982-1985). During the period of 1978-1989 he was a Senior Fellow at the Jaffee Center for Strategic Studies, where he established and directed the Terrorism and Low Intensity Conflict Program. From 1989 until his retirement he was the Director of the Political Violence Research Unit at Tel Aviv University. Prof. Merari has been a visiting professor at Berkeley and Harvard, and a Senior Fellow at the Kennedy School’s International Security Program of the Belfer Center. He has studied political terrorism and other forms of political violence for more than thirty years and has authored, co-authored or edited several books and many articles, monographs and chapters on these subjects. 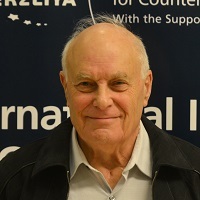 In addition to his academic work, he established Israel’s Hostage Negotiations and Crisis Management Unit and commanded it for more than 20 years. In recent years he has headed a large study of suicide terrorism. Prof. Merari's book, Driven to Death: Psychological and Social Aspects of Suicide Terrorism was recently published by Oxford University Press.